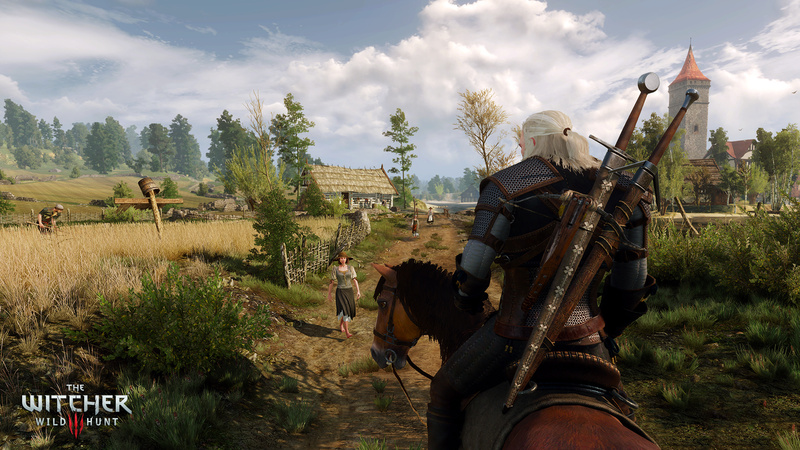 There are a lot of skills to choose from in The Witcher 3: Wild Hunt. While it's perfectly possible to forge your own path through the many available options, it can be daunting at first. As such, we've put together what will hopefully be a helpful skill guide, briefly explaining what each skill is and what we make of it. By no means, however, is this a walkthrough of how to build an optimal character – we're just trying to point you in the right direction. Before we start, though, a few things that you should make note of. The first is that you shouldn't worry too much if you think that you've put points into something that's a bit crap. There are specific merchants in the game that'll sell you a potion of clearance for the hefty price of 1000 coins. Drinking this concoction will allow you to redistribute your spent skill points. Secondly, you should always be on the look out for places of power. You only get one skill point each time that you level up, but finding and activating a place a power will also grant you one extra point, which may be perfect for rounding out skills or for grabbing a passive ability. And finally, play how you want to play. 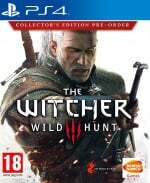 Geralt can be moulded almost exactly as you'd like him to be, and in truth, there aren't too many ineffective skills on offer. If you like the sound of something, go ahead and grab it. However, with that in mind, if you really want a cheeky little tip, then manually save your game before you choose a new skill and try it out. If you don't like what you're picked, simply reload your old save and nab something different. Sly, eh? These are skills that benefit your swordplay and evasive techniques. If you like to get in close, dodge enemy blows, and generally play the game like a warrior, then you should be putting a lot of skill points into this category. These skills relate to your fast attacks, which are mapped to the square button. Description: Each level makes your fast attacks do more damage and generate more adrenaline points. Our thoughts: A basic upgradeable skill. If you find yourself using fast attacks a lot, there's no harm in putting some points into this. Description: Each level gives you a better chance of landing critical hits with fast attacks, and makes critical hits do more damage. Our thoughts: Critical hits can save your life if you need to take a foe down quick, but pumping five whole skill points into this for maximum effect is a tall order. That said, if you're constantly using fast attacks, it can definitely be of use. Description: A fast spinning attack. Using it drains stamina and adrenaline points. Our thoughts: A decent move that comes in handy if you're surrounded. 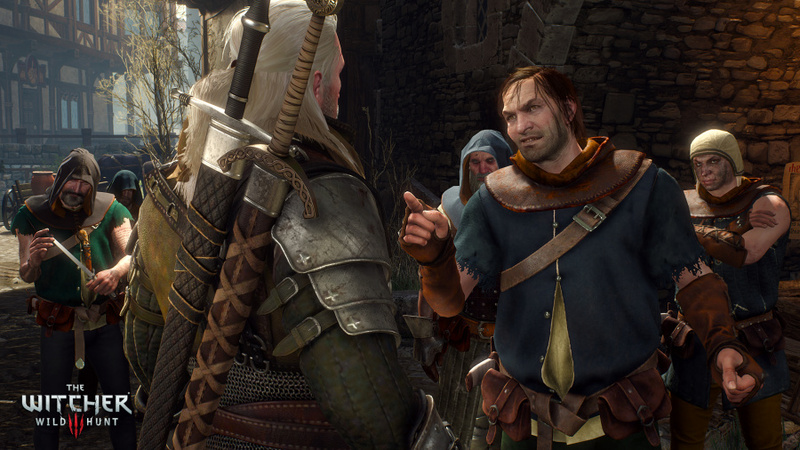 If you find Geralt's swordplay to be a little bit limited, it may be worth experimenting with. Description: Fast attacks make enemies bleed, which means that their health continues to drain away after you land a successful hit. Our thoughts: The extra damage over time is not to be sniffed at, and upgrading it further makes the bleeding effect last longer. Very useful if you want to do more damage with fast attacks. These skills relate to your strong attacks, which are mapped to the triangle button. Description: Each level increases the damage and adrenaline point gain of your strong attacks. Our thoughts: Basic upgradable skill. If you like to use strong attacks, or just weave them into your fast attack combos, there's no harm in putting points into this skill. Description: Increases the chances of landing a critical hit with strong attacks. Also increases the critical damage that they cause. Our thoughts: Strong attacks already tend to do decent damage, but having a better chance of a critical hit with each strike is tempting. Five levels may be asking a bit too much for maximum effectiveness, though. Description: A mighty blow that uses stamina. It ignores enemy defence and has an extra chance of a critical hit. On top of that, adrenaline points increase the total damage. Our thoughts: If you like to tear through your opponent and have the timing to pull it off, Rend can be a reliable ally, especially if you favour strong attacks. Description: Reduces an enemy's damage resistance whenever you land a strong attack. Our thoughts: A nice bonus, especially against heavily armoured foes. It essentially makes your opposition weaker as fights go on, which can be very useful if you already like smashing monsters or people with strong attacks. These skills are all to do with your evasive techniques and blocking. X is your dodge roll, circle is your sidestep, and holding down L2 allows you to block with your sword. Description: You'll automatically deflect arrows while you're blocking. Our thoughts: Very handy when you're taking on a larger group of bandits or soldiers. Worth a shot if you find yourself getting hammered from long range. Description: If an enemy hits you as you're evading, the attack will do reduced damage. Our thoughts: Incredibly useful if you can't quite get your timing right. May end up saving your life if you're the type who rolls around the battlefield like a madman. Description: Increases the damage of your follow-up attacks after you successfully perform a counter. Our thoughts: The damage bonus can be a big help, but you need the proper timing to get it in the first place. A good skill for more experienced players. Description: The more adrenaline points you have, the more chance you have of killing an enemy instantly. Our thoughts: With a lot of adrenaline points, you can potentially kill off entire groups of foes with a little luck. Only two levels means that it could be a solid investment if you fancy your chances. These skills make your crossbow more effective. The crossbow only becomes available a small way into the main story. Description: When you're aiming your crossbow, time is slowed down more with each invested skill point. Our thoughts: A pretty negligible bonus unless you're having trouble aiming the crossbow, otherwise your skill points are better spent elsewhere. Description: You gain more adrenaline points every time you hit an enemy with a crossbow bolt. Our thoughts: Can be a decent way to rack up adrenaline points, but if you only use your crossbow when it's needed, the investment isn't really worth it. Description: Increases your chances of landing a critical hit with a crossbow bolt. Our thoughts: Critical hits can make the weapon do decent damage under the right circumstances, but it's a skill that's only useful to those who wield the crossbow often, and also make use of the skill detailed below this one. Description: Critical hits with the crossbow stop monsters from using their special abilities. Our thoughts: Easily the most useful skill in the marksmanship line. With the above Anatomical Knowledge skill, you have a decent chance of stopping a monster's abilities for a short time, which can make some fights much easier. It is a risky investment, though, given how many skill points it takes in both skills to make Crippling Shot an effective tactic. These skills make full use of your adrenaline points, which build up when you're doing well in combat. However, when you take damage, adrenaline points decrease. Description: You lose less adrenaline points when you take damage. Our thoughts: If you rely on skills that make use of adrenaline points, this skill may prove useful. That is, assuming you tend to take a lot of damage in the first place. Description: If your health reaches zero, you'll be revived as long as you have adrenaline points. The more you have, the more health you'll get back. Our thoughts: Can be a literal life saver in tough fights, but it all depends on how many adrenaline points you can build up. If you have skills that use them up, you'll probably revive with next to no health and quickly be killed again anyway. If you're never using them, this could be a worthy investment. Description: Gain an adrenaline point when combat begins, and get more points for each sword attack. Our thoughts: Great if you want to build up a lot of adrenaline points, especially if you're primarily a melee fighter. Description: Automatically use up adrenaline points to increase the effectiveness of your magic signs. Our thoughts: A worthwhile skill if you use signs a lot, and aren't using adrenaline points for much else. Used right, this can bolster the power of your signs significantly. These are skills that improve the effectiveness of your magic signs. Each line of skills focuses on one particular sign. You should focus on this category if you want to make your magic as powerful as possible. This sign is used to knock enemies back, leaving them open for further attacks. Aard is generally great for crowd control. Our thoughts: If you use aard a lot, the extra range can be a simple but effective bonus, especially when you're surrounded. 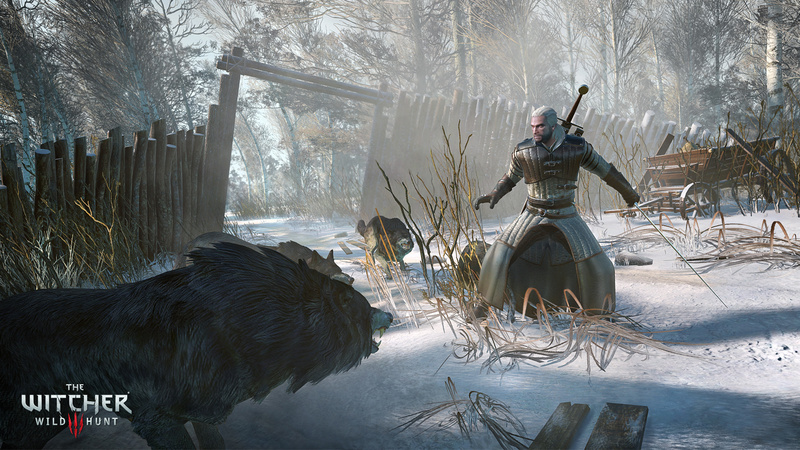 Description: Aard can cover the area around you, rather than just in front of you. However, it has less chance to knock enemies down completely. Our thoughts: Fantastic for crowd control, and useful if you're surrounded on all sides. Less chance to knock enemies down is a hefty penalty, though. Depends on how much you use the standrad aard sign. Description: Makes aard more effective. Our thoughts: No reason not to put a few points into this if you're constantly using aard. Description: Aard now does damage. Our thoughts: If you want aard to have a little more kick, you can't go wrong with some added damage. This skill makes aard a decent damaging alternative to the igni sign. These skills improve the igni sign, which has various uses. Igni can be used to set enemies on fire, dealing raw or lasting damage. Description: Igni now weakens enemy armour when it connects. Our thoughts: Useful against tougher foes, but five skill points is a hefty investment for maximum effectiveness. If you use igni a lot, it may still be worth a try. Description: Igni can now be used like a flamethrower. Our thoughts: A decent upgrade if you're not too keen on igni's standard blast, and want to keep enemies in place with a constant stream. Worth an investment if you want igni to have a bit more versatility. Description: Increases the effectiveness of igni. Our thoughts: More damage is always good if you're using igni frequently. Description: Igni now has a better chance to set enemies on fire. Our thoughts: Good for those that are always using igni, but perhaps not worth full investment. Extra burning damage can chip away at bigger health bars surprisingly well. Yrden is a specialised sign that's used to put foes at a disadvantage by placing a magical trap on the ground. It is a necessary sign when fighting certain wraiths, that are otherwise immune to your attacks. Description: Makes yrden last longer. Our thoughts: Can't go wrong with this skill if you're using yrden a lot. More time before the sign disappears means more time to clobber anything caught inside of it. Description: Yrden can now damage and slow enemies inside of it. Projectiles are also destroyed if they pass through it. Our thoughts: A very versatile skill that's good when fighting either groups or bigger enemies. A must if you're a fan of yrden. Description: Increases the effectiveness of yrden. Our thoughts: If you're using yrden a lot, you can't go wrong with investing a few skill points here. Description: Enemies affected by yrden take continuous damage. Our thoughts: Useful for chipping health away from bigger enemies. If you're not a fan of other signs that deal damage, this could be something of an alternative. Quen creates a shield around you that must be broken before enemies can damage your health. Ideal for beginners while veterans can make advanced use of it with the right investments. Description: When your quen shield is broken, it will push enemies back. Our thoughts: A nice bonus if you use quen a lot, as the blast can give you some breathing space after you're hit. Description: You can now use quen as a sustained shield that drains stamina. When the shield takes damage, it restores your health. Our thoughts: Incredibly useful when you'd rather block a powerful attack than dodge it. The provided healing as the shield takes damage is a very attractive bonus, but keep an eye on how much stamina you have. Description: Increases the effectiveness of the quen sign. Our thoughts: An obvious choice if you're a frequent quen user. Description: Reflects damage back at the attacker whenever the shield takes a hit. Our thoughts: A decent way to do some extra damage, but requires a hefty investment to make it truly worthwhile. Axii is used to control the minds of your enemies, and sometimes the thoughts of those that you have conversations with. Description: Targeted enemy doesn't move towards you when you're casting axii. The sign's effectiveness in conversations is also improved. Our thoughts: If you're a fan of controlling peoples' minds during conversations, it may be worth the investment, although these opportunities are fairly rare. Still, you may regret your inability to do so when you're not fond of the alternative dialogue choices. Description: Make your target an ally for a short time. Your new ally will also do more damage with its attacks. Our thoughts: Useful when fighting groups, and rather fun to play around with. Description: Increases the effectiveness of axii. Our thoughts: Can't go wrong if you're always using axii to gain a bit of control over a battle. Description: You can now take control of two enemies at the same time, but the effects are weakened. Our thoughts: Perhaps a bit too specific in the sense that this skill is only useful against groups. Still, the ability to take two opponents out of the game could come in handy. These skills improve your alchemical knowledge, making your concoctions more effective in and out of battle. If you rely on your potions, or use them often to supplement your other abilities, then you may want to spend a few points here. 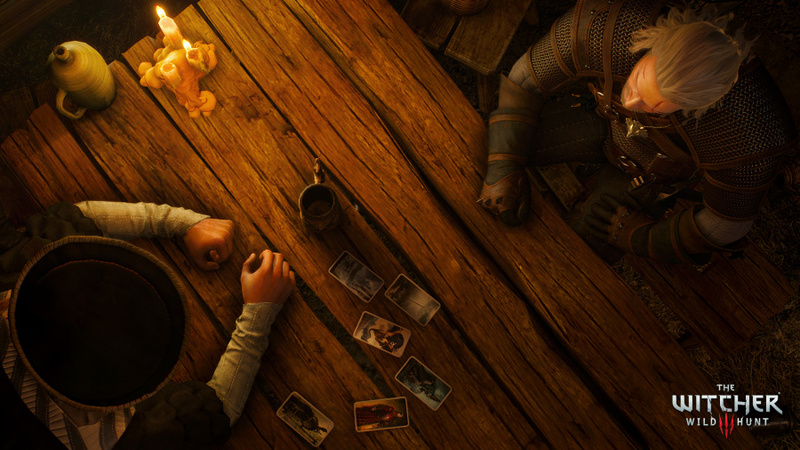 These skills bolster the effectiveness of your brewed Witcher potions. Description: Increases your potion overdose threshold, allowing you to drink more before you're in danger. Our thoughts: May be a worthy investment if you're always worried about drinking too many potions. Usefulness is very dependant on how often you tend to use potions. Description: Each potion that you drink restores a portion of your health. Our thoughts: A very useful skill if you're drinking a lot of potions anyway. Instant healing is always a big plus in tougher fights. Description: The effects of your potions don't wear off until your toxicity level falls below a certain amount. Our thoughts: Very useful if you're constantly chugging potions – you can potentially keep your potion's effects around as long as you want provided you can keep within the toxicity range, but that's a tall order in most cases. Description: Using a potion gives you a chance of activating the effects of another randomly-selected potion. If it does activate, there's no impact on your toxicity level from the extra effects. Our thoughts: A risky venture that could pay off massively if the right randomised potion is selected. Only invest if you drink a lot of potions and fancy your chances. These skills add bonuses to the oils that you apply to your blades. Description: With an oiled sword, each attack now has a chance to poison your enemy. Our thoughts: A good way to do some extra damage to your foes, and worthy of consideration if you use a lot of oils. Description: Provides additional protection against attacks from enemies that are weak to your currently applied oil. Our thoughts: A decent defensive measure against specific enemies that you've brewed oil for. Makes the fight that much easier. Description: Oils last longer before they wear off. Our thoughts: If you're an oil enthusiast, you can't go wrong with this skill. More attacks before your oil wears off can't be a bad thing. Description: When you adrenaline points are at maximum, you have more chance to perform critical hits against enemies that are weak to your current oil type. Our thoughts: Against specific enemies that you've created the oil for in the first place, this skill could be their death knell, but you do need to preserve your adrenaline points. These skills enhance the effectiveness of your bombs. Description: Further slows time when you're throwing a bomb. Our thoughts: For bomb enthusiasts only, and only then if you're having trouble hitting things. Description: Bombs that don't usually inflict damage now cause damage along with their existing effects. Our thoughts: A nice bonus if you find yourself using different types of bombs a lot, but not much more. Description: You can carry more bombs in each inventory slot. Our thoughts: A simple skill; if you use bombs a lot, then this is sure to come in handy. Description: Bombs explode into damaging fragments. Our thoughts: A decent bonus if you're using a lot of bombs, but that's about it. These skills generally provide bonuses to your equipped mutagens and decoctions. Description: For every alchemy formula that you know, your maximum toxicity level increases. Our thoughts: Could prove very useful for those who drink a lot of potions, but its potential will only be revealed to those who have come across many formulae in their travels. Description: Mutagen decoctions also increase your maximum health until they wear off. Our thoughts: A good way to bolster your survivability if you usually make use of decoctions, but requires a lot of investment to be truly worthwhile. Our thoughts: A skill that's great for bolstering your mutagen stat boosts further, but you'll need specialised character builds to get the most out of it. Description: Makes all decoctions last longer. Our thoughts: Can't go wrong with this skill if you're popping plenty of decoctions. These skills grant bonuses that are dependant on your toxicity level. Description: When you toxicity level is above zero, time will slow when an enemy is about to perform a counterattack. Our thoughts: Slowing time is always going to be useful, and if you drink a lot of potions, then this is the perfect fit. Description: Maximum health increases when your toxicity level goes beyond the safe threshold. Our thoughts: You're already dicing with death if your toxicity level is too high, but this could prove useful against tougher enemies. A very specialised skill not for the faint of heart. Our thoughts: A specialised skill that assumes you're not using a heightened toxicity level to your benefit. If you drink a lot of potions and don't make use of any skills that activate when your toxicity level is high, then this will make it easier to stay within the safety threshold. Description: When your toxicity level is above zero, every enemy that you kill increases your chances of getting a critical hit. Our thoughts: If you already have skills that give you a better chance of critical hits, this could be the icing on the cake, but the drawback is that you need to be fighting groups of enemies to make the most of it. These skills are general, passive bonuses. Each of them only requires one skill point to reach maximum effectiveness. Description: Your health regenerates faster during the day when you're not in combat, and your stamina recovers faster at night when you're in combat. Our thoughts: A nice bonus skill if you've got a spare point. Better health regeneration means that you won't have to consume as many items after a fight, while better stamina recovery means you can make more frequent use of signs during moonlit battles. Description: Boosts your health by 500 points. Our thoughts: As simple as skills come. More health is never a bad thing, so it's worth a shot if you have a spare skill point. Description: For every piece of light armour that you have equipped, your critical hits do 25 per cent more damage, and the damage of your fast attacks is increased by 5 per cent. Our thoughts: A late game skill, perhaps, when you've found a full set of effective light armour. The bonuses that this skill provides are worth the investment if you've got the right gear. Description: For every piece of medium armour that you have equipped, signs are 5 per cent more effective, and stamina regenerates 5 per cent faster. Our thoughts: A late game skill, perhaps, when you've found a full set of effective medium armour. The bonuses that this skill provides are worth the investment if you've got the right gear. Description: For every piece of heavy armour that you have equipped, your maximum health increases by 5 per cent, and the damage of your strong attacks is increased by 5 per cent. Our thoughts: A late game skill, perhaps, when you've found a full set of effective heavy armour. The bonuses that this skill provides are worth the investment if you've got the right gear. Description: Crossbow bolts deal 25 per cent more damage. Our thoughts: If you're a crossbow fan, this is an obvious choice. You can't go wrong with more damage. Description: If you don't have enough stamina to cast signs, you'll use adrenaline points instead. Our thoughts: Very, very handy if you're in desperate need of a specific sign and your stamina hasn't recovered. Works best for those who don't tend to use their adrenaline points for much else. Description: Increases how quickly you gain adrenaline points. On top of that, signs now also generate adrenaline points. Our thoughts: A must if you use adrenaline points a lot. Description: Adrenaline points increase your damage from your swordplay and your signs. Our thoughts: Can't go wrong with this skill, especially if you hardly use your adrenaline points. Bonus damage is never to be sniffed at, particularly when it's this easy to come by. Description: Increases your maximum toxicity level by 30 points. Our thoughts: An obvious choice if you drink a lot of potions and don't want to fall down dead quite so easily. Have you got any skill tips of your own? Do you have a favoured character build? Share your experiences in the comments section below. Ohh, that's not confusing, lol.........have yet to jump into the game. Just finished the first main quest and am a few levels in. Really appreciate these tips as the game is pretty difficult. Funny enough though the only time I ever died so far was 5 seconds after the first cutscene when I learned the game doesn't have invisible walls on balconies. Fall damage too OP. Needs nerf. The next 3 skills I will choose are definitely focus, rage management and adrenaline burst. They sound like the perfect combination. They better patch an autosave-every-ten-minutes in or I'll have to give it up before I smash my living room up and have to see a divorce lawyer, when losing an hours progression at least once during every gaming session. And loading-after-death times are no better than bloodborne.. Great game, but not perfect. @rykkchii I know a lot of games don't have it these days, but you basically have to make use of the manual save. Autosave only kicks in at certain points. If you see something that looks dangerous, just take a second to save it - it's saved me a hell of a lot of trouble. Oh yes. Love me some complex skill trees like this! Great article to explain what they all mean...but personally I'll just tailor what I want to my play style. Loving the game and other than a bit of FPS drops I have no complaints whatsoever. @rykkchii haha haha I had that issue a couple of times and got a bit angry...now I manual save quite often. I actually think the save system is better than most games as they don't normally have a manual save option. @milero91 not only do i dislike 'having' to manually save (having the option is great, but for it to be essential is not great) because i forget, i also hate it because having to pause and save breaks the immersion terribly. Skyrim got it spot on with its autosave after every so often (adjustable). @rykkchii Yeah I do see your point, maybe they will improve on the saving system. Although it could have been a choice to make the game seem more difficult. I dumped most of my points in increasing my weapon damages because for the majority of the time you're slashing and stabbing things. I've also put a few in Igni because a burning foe is always good, also a few in Axii so I can bend peoples' will, mwahahaha! If there are any beginners reading this and want a build that's very survival-based, put a lot of points into the quen line of skills. The bubble shield that you can get by holding down R2 is really, really good. Easily one of the best ways to survive in harder fights. Im maxed out my strong attack and put 3 on quick attack, i use axii to mind control early and then use my strong attack but now that I've gown stronger i maxed out yrden and maxed out the alternative yrden spell; magic trap (which is extremly powerful). Once i got the timing of the lightnig from magic trap i have no problem hitting foes with strong attacks directly after the lightning stumbles them. Also just added griffin school techniques with all the upgraded griffen armor and it made my spells alot more powerful. Not really using axii much anymore (besides for conversation) so i am considering switching to igni instead now. Extremly fun character to play with if u like using spells with a touch of timely swordplay.